Hill Street serviced offices has been refurbished to an extremely high standard and is situated in a prime location in Mayfair. The interior finish of the period building is quite simply exceptional and is ideal for companies that are looking for an A grade office for their business. 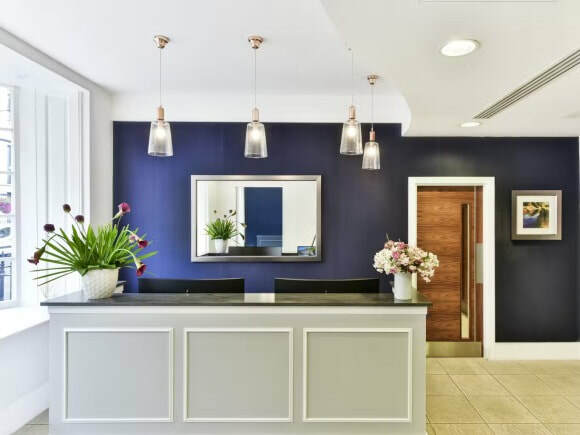 The property enjoys a range of features including a spacious reception that is professionally staffed and a choice of quality boardrooms in various capacities. The offices for let are spread over a number of floors and all are fitted out with furniture such as chairs, desks and pedestal storage drawers. Perfect for organisations that need room to grow, this office rental offers a broad selection of sizes that can be rented on a flexible term contract. Other services within the Business Centre include mail collection, phone call answering in a company name and IT support.